Billionaires John and Pauline Gandel have called on the country’s rich and powerful to offset government cuts to the arts, after donating $2 million to the National Gallery of Victoria. Mr Gandel, who owns half of the biggest mall in the southern hemisphere – Melbourne’s Chadstone Shopping Centre – was ranked seventh on this year’s Australian Financial Review Rich List with wealth of $6.45 billion. Mr Gandel, who made his fortune investing in shopping centres after selling his Polish-immigrant parents’ stake in the Sussan women’s clothing chain in the 1980s, was awarded the Queen’s Birthday top award for his philanthropy last year and Mrs Gandel called on other wealthy Australians to do more. Billionaire property investor and philanthropist John Gandel was awarded an AC. “As we are all aware, government funding for the arts has been reducing,” Mrs Gandel said. “For those of us who consider art and culture, in their broadest sense, as important elements in a civil society, it behooves an individual commitment. I see this commitment as a beacon to both government and to other individuals to contribute to the society, which supports us all,” she said. The family’s vehicle for their charitable giving, Gandel Philanthropy has been stepping up its major grants, including 168 grants to 156 organisations in 2016-17 and giving away more than $80 million since 1990. The Gandels’ flagship grants of up to $2 million “continue to increase significantly” to Jewish and Australian causes, particularly across the arts, education, health and youth at risk, such as helping social enterprise STREAT to set up their new Collingwood headquarters. Other recent examples include their $1 million donation to create the highly interactive, colourful and popular Pauline Gandel Children’s Gallery at the Melbourne Museum and their $1.5 million donation to National Museum of Australia to establish a digital history program. 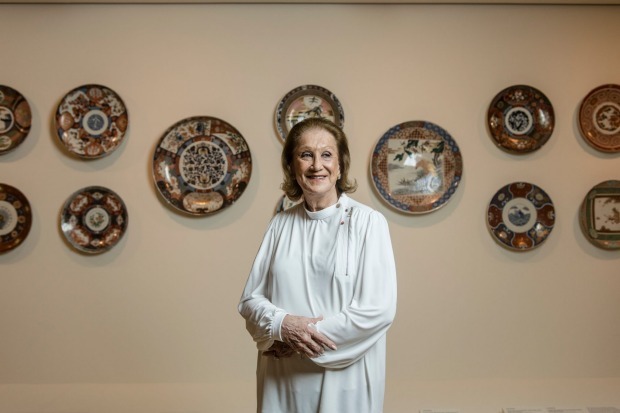 Pauline Gandel has gifted a significant collection of Japanese porcelain to the NGV. The $2 million NGV donation is being used to strengthen NGV’s holdings of Japanese art and design, which is housed in the Pauline Gandel Gallery of Japanese Art, which opened at NGV International in 2012. The NGV – which had more than 3.3 million visitors last financial year – said the donation had allowed it to acquire 130 important pieces of Japanese Imari porcelain on display from this week, making the NGV’s holdings one of the most significant collections outside of Japan. “I have been fortunate to be able to travel the world and experience many different cultures, but somehow Japanese art and culture resonates personally,” Mrs Gandel said. 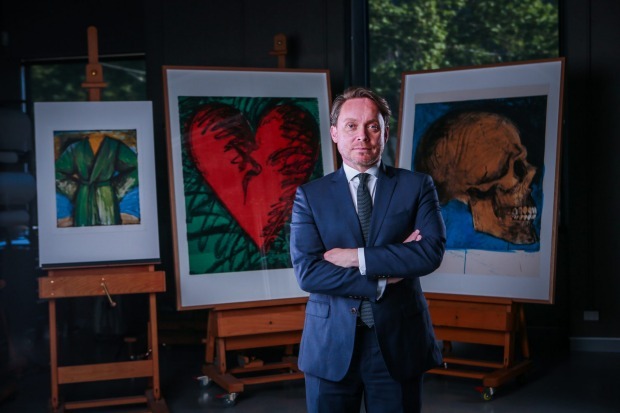 NGV director Tony Ellwood with a selection of prints donated to the National Gallery of Victoria by artist Jim Dine. “My first visit to Japan was 1961 and in 2014 I was deeply honoured to receive the Imperial Award, Order of the Rising Sun, Gold Rays with Rosette, for contributing to ‘mutual understanding of Japanese culture in Australia through Japanese art and tea ceremony’,” she said. The NGV’s annual report shows that the gallery received donations of just over $20 million last financial year – including $9.7 million in cash and $11 million for gifts in kind – from the likes of Lonely Planet co-founders Maureen and Tony Wheeler and Paula and Lindsay Fox. 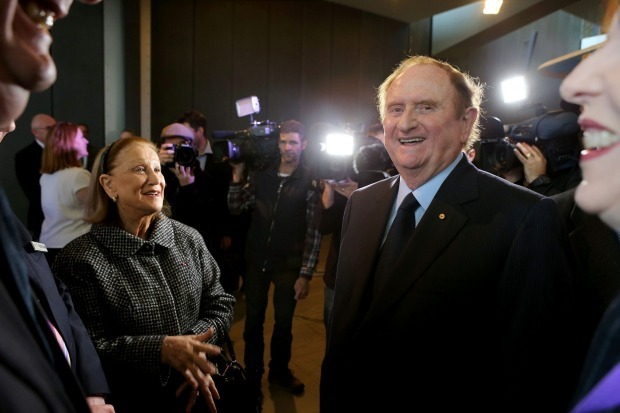 The figure was slightly down on a record $40 million in donations the year before after an $18 million bequest from one of Australia’s most distinguished historians, professor Alan Shaw. The donations helped the NGV to a $26 million profit last financial year, slightly down on the $35 profit the year before, which followed a $180 million loss in 2016, after a significant write-down off the value of the gallery’s $3.6 billion of art. Are the 2018-19 Los Angeles Lakers Better Than the 2017-18 Cleveland Cavaliers?